Surveying a relationship between the field of Ceramics and contemporary approaches to art making, theory, and criticism, ceramics offers a diverse approach to materials and processes, emphasizing work that is both technically proficient and conceptually diverse. 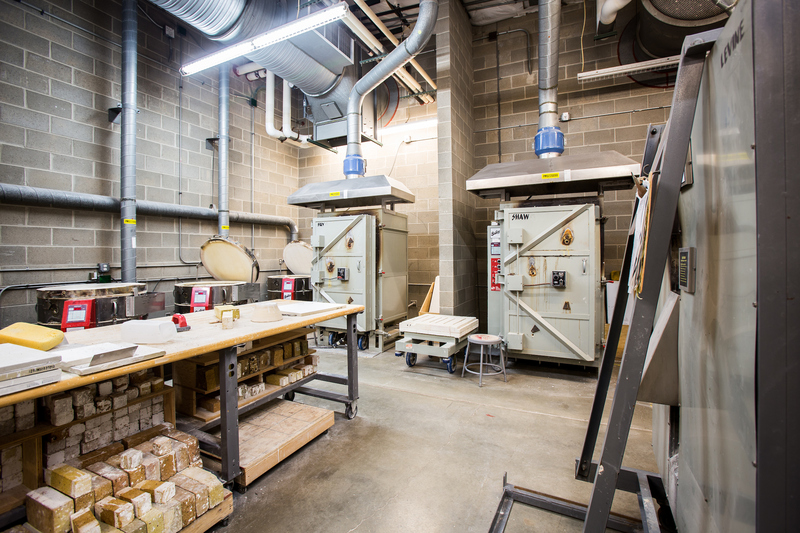 Through advanced study, students gain an understanding of the technical concerns involved in ceramic production such as mold-making and clay and glaze calculation, while simultaneously developing the critical and historical skills necessary to apply those processes to finished works. 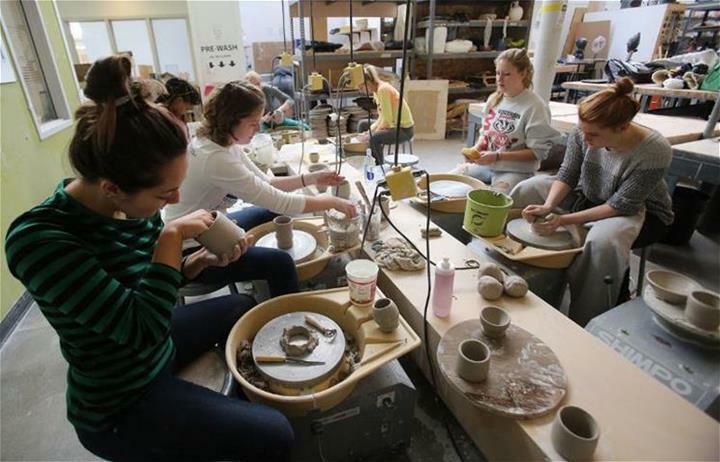 The ceramics studio offers a wide assortment of materials and equipment including a fully-stocked supply of raw ingredients for clay and glaze mixing, digital scales, test kilns, electric wheels, extruders, slab rollers, an industrial spray booth, slip casting equipment, and a variety of both updraft gas and computer-controlled electric kilns. 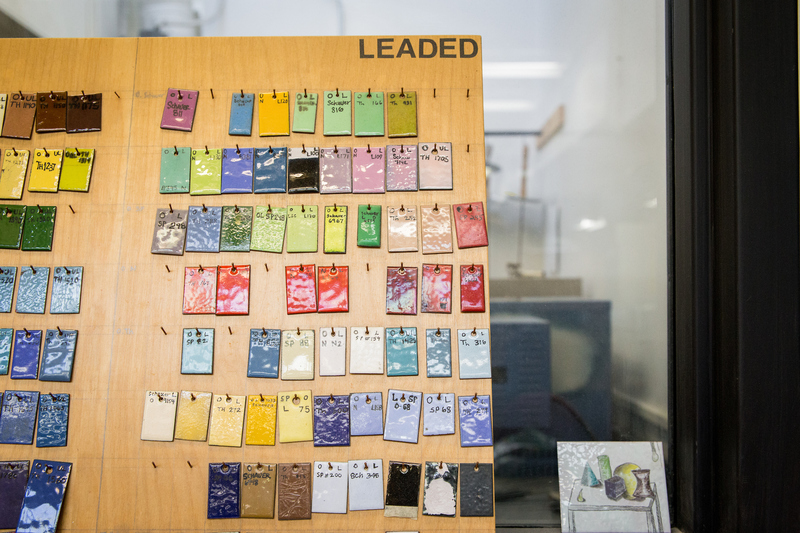 As the first collegiate Glass program in the nation founded in 1962, UW-Madison’s art department is considered by many to be the birthplace of American studio glass. 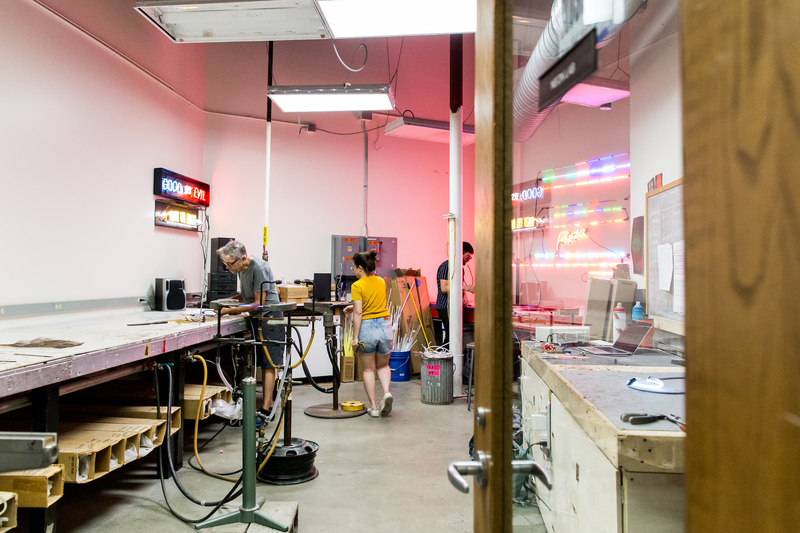 UW-Madison is also one of only five universities in the nation with a Neon program, allowing students the rare opportunity to create art that incorporates neon lighting. 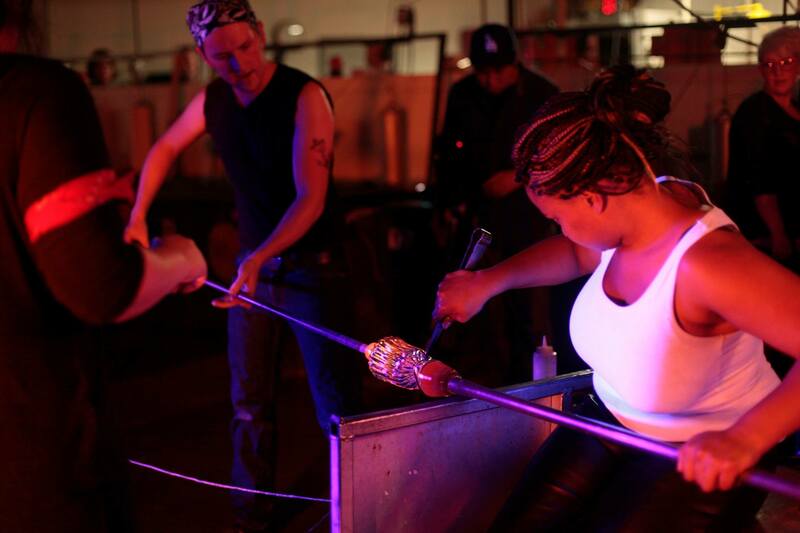 The program stresses proficiency in the basic manipulative processes inherent in the glass medium with hand-skills while encouraging students to consider interpretations of glass as process, as phenomena, and performance, in order to speak to a broader understanding of the material in contemporary studio practices. Teamwork, safety, and fun are as paramount to the program as technical rigor, critical thinking, and material investigation. All of these resources allow students to expand traditional boundaries through conventional techniques. 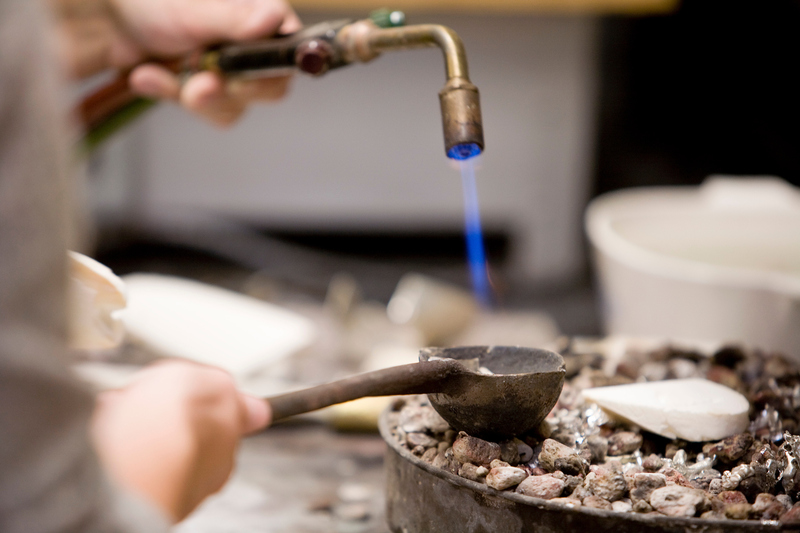 The Glass Lab is equipped to accomplish most hot, warm, and cold working methods, such as blowing, casting, fusing, slumping, flameworking, and coldworking. The lab also includes a fully-equipped neon facility. Note: For further advanced investigation in glass and neon, Art 454 and 554 may be repeated for credit. 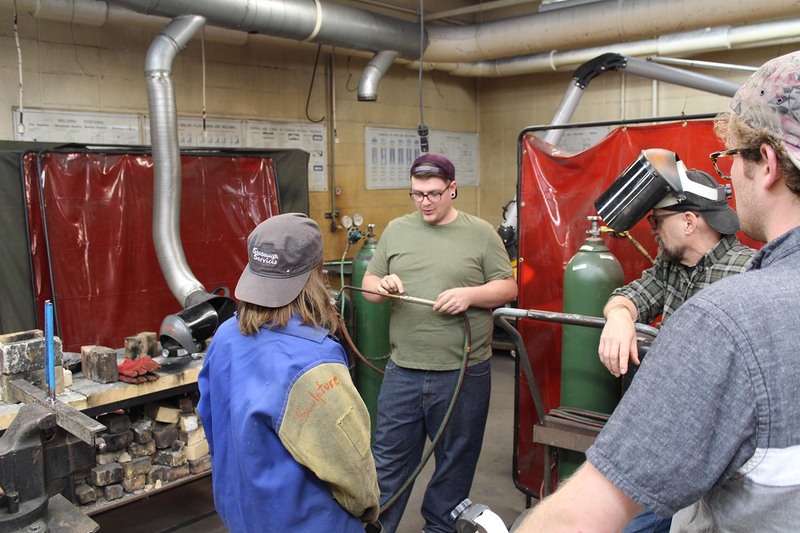 One of the oldest and most respected Art Metals & Jewelry programs ranked 3rd in the country, the program challenges its students to perform material investigations, develop skill and technique, and understand the history and cultural significance of metalsmithing and jewelry design. Technical proficiency of the medium is encouraged in the service of socially significant investigation and research. Analytical and critical thinking, historical responsibility, and theoretical awareness are explored in a seminar setting with the faculty. The metals labs occupy instructional and studio spaces that are well-equipped with a wide range of tools, including torches, annealing booths, centrifugal and vacuum casting equipment, enameling kilns, a gas forge, manual and electric rolling mills, sand blaster, band and jig saws, lathes, milling machines, drill presses, a polishing room, spray-etchers, and more. A resource center includes a connected computer, digital projector, photo equipment, and metals library to aid students in researching and documenting their projects. 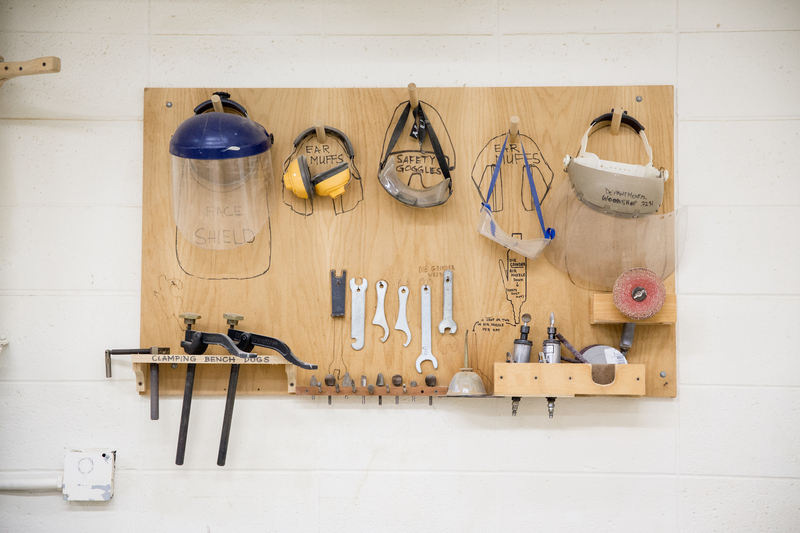 The Sculpture program addresses a broad spectrum of professional practice and possibilities from objects to projects including public art through a balance between diverse and inclusive concepts, context, and processes. Students are encouraged to develop their voices as artists working within today’s society. The sculpture labs contain an array of equipment and machinery used to produce sculpture through a range of processes, including welders (MIG and TIG), a foundry with a large Alpine sculpture kiln for foundry molds and gas melting furnaces, a CNC router, forging facilities, and shops for mixed media construction, casting, and painting. 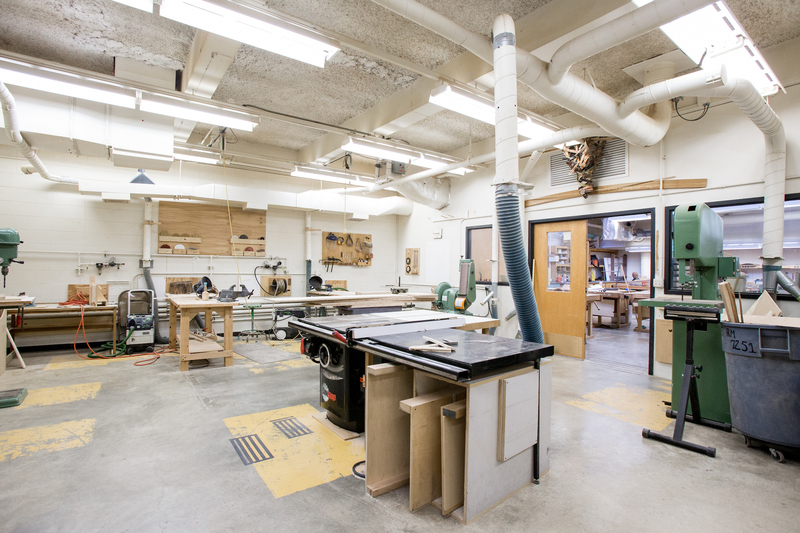 The Woodworking program stresses the innovative use of wood as a material for the construction of both functional objects and sculpture. Using a project-based curriculum with conceptual challenges that encourage creative problem solving and critical thinking, the design process is emphasized through sketching, technical drawings, model making and computer rendering. 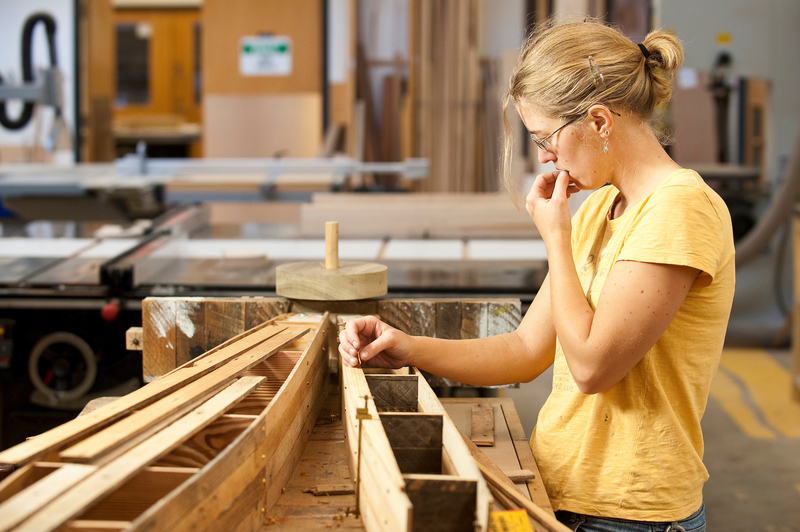 Students develop a high level of proficiency in the various manipulative, construction, and finishing processes of woodworking by employing both hand-tool and machine techniques. 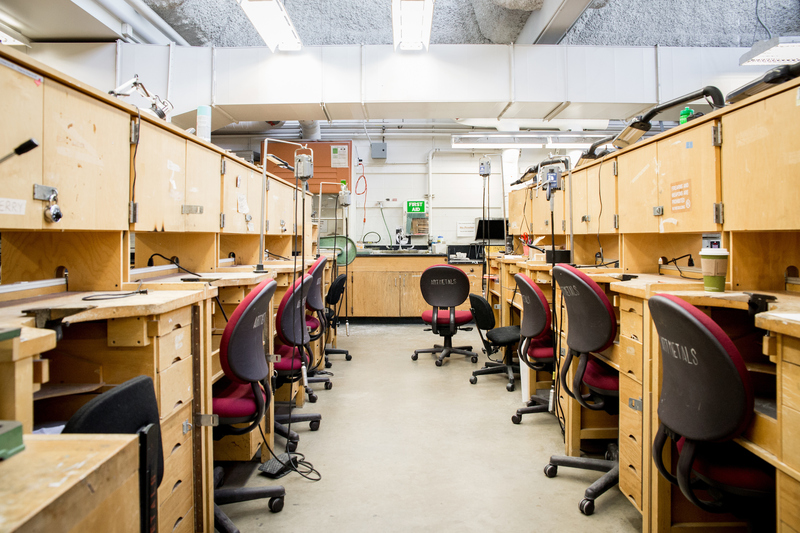 The woodworking and furniture facilities offer state-of-the-art laboratories across two machine rooms and a separate finishing room with several spray systems. 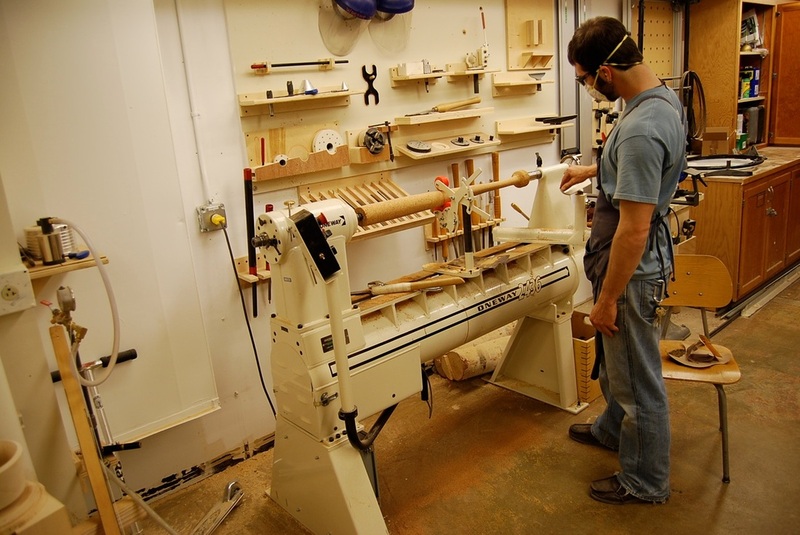 The labs are outfitted with an extensive collection of commercial quality power equipment such as sawtops, jointers, planers, band and jigsaws, lathes, drill presses, and more, all connected to a state-of-the-art dust collection systems. Each student has access to a locked personal tool cabinet which contains essential hand-tools.